Finely crafted in the USA from select and better North American Hardwoods, textured and hand-scraped. Our strong miter lock construction means your shelves will stay true and beautiful for years to come. Shelves may contain: small open knots & pin holes, mineral streaks, and growth rings. We’ve kept everything you love about reclaimed décor: tight knots, mineral streaks, and wear spots from years of use, but left out the dirt, nails and germs of old, reclaimed materials. The hand scraping process, which leaves open grain, gouges, and uneven surface, completes our rustic and industrial style shelves. 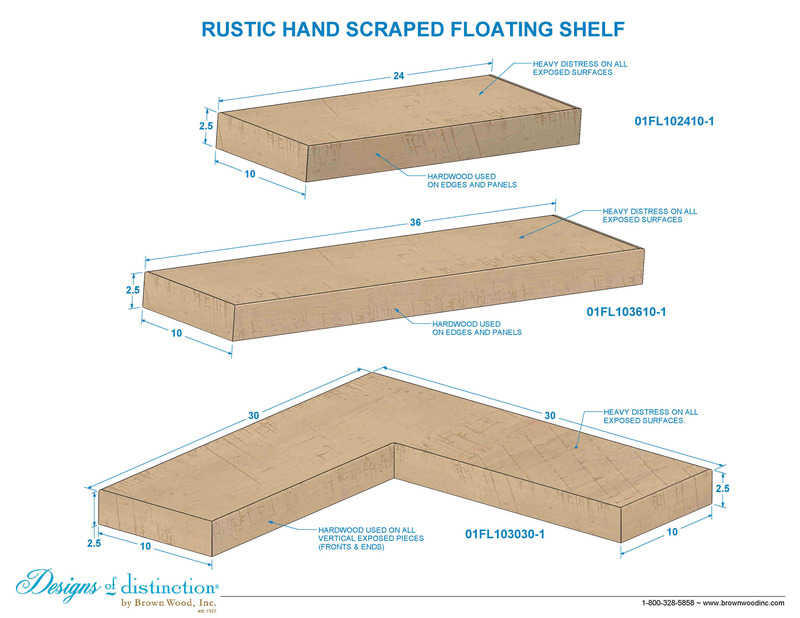 Hand scraped floating shelves comes complete with our steel floating shelf bracket(s) and installation instructions. Shop more of this look in the Modern Farmhouse Collection. Shelves are finished in small batches and may vary in color. If ordered at the same time, shelves will be finished together to match.